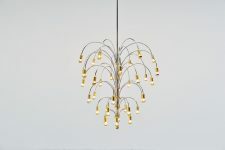 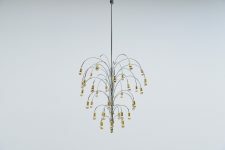 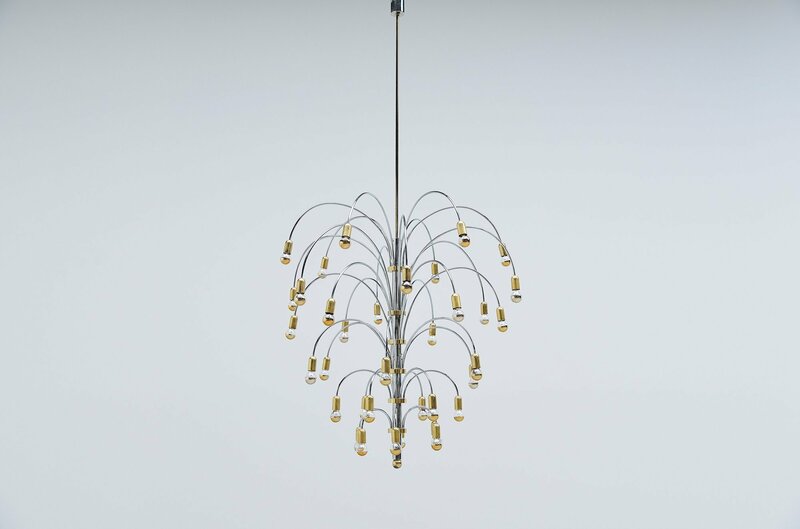 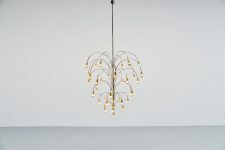 Very nice extra large chandelier made by unknown manufacturer or designer, Italy 1970. 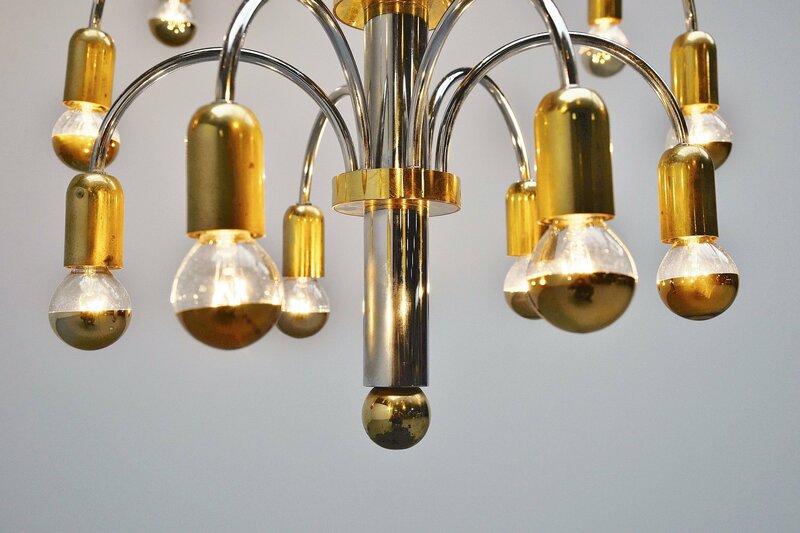 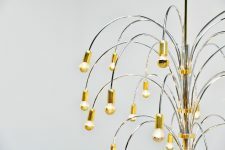 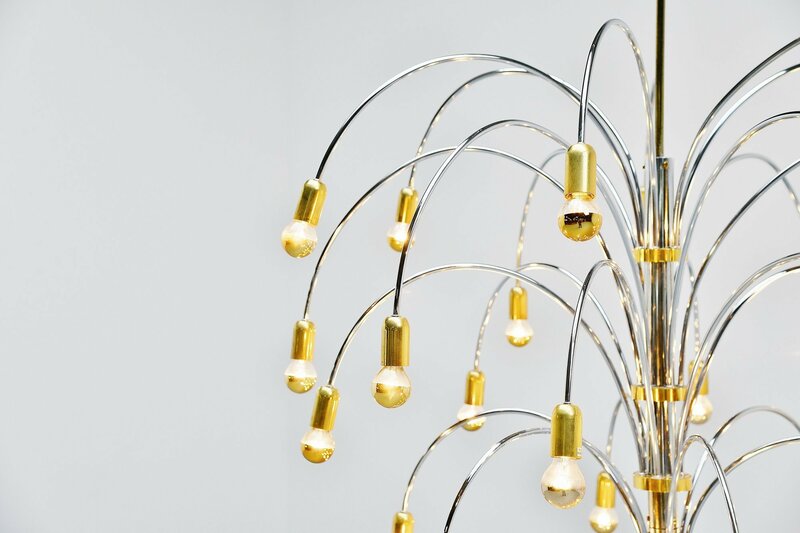 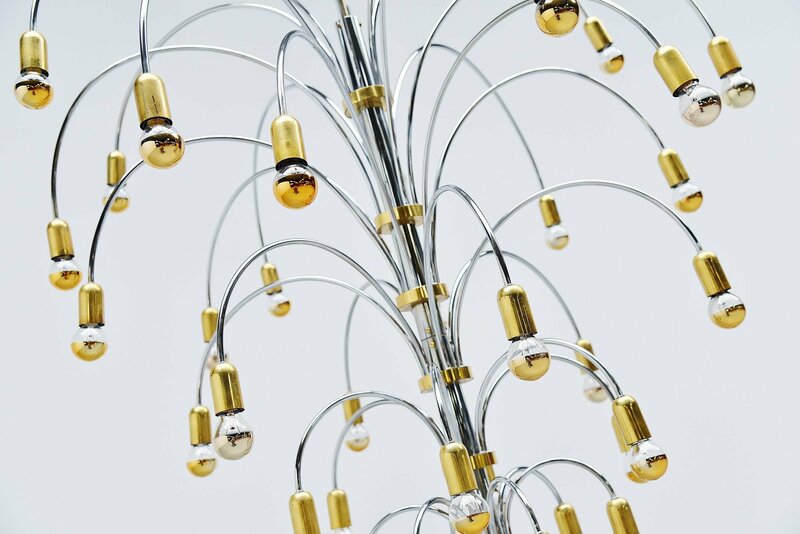 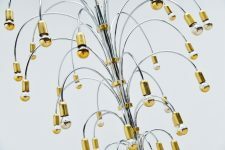 The lamp is made of chrome plated metal and brass. 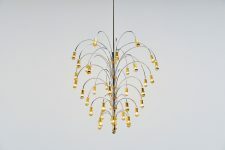 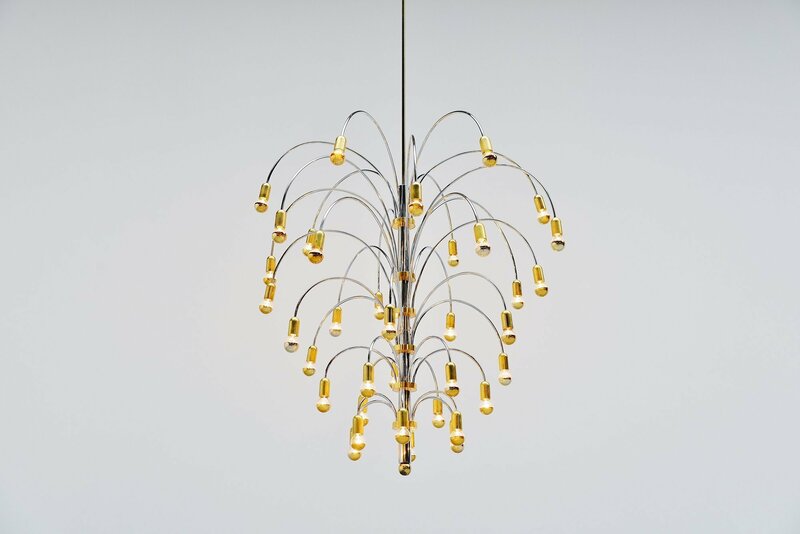 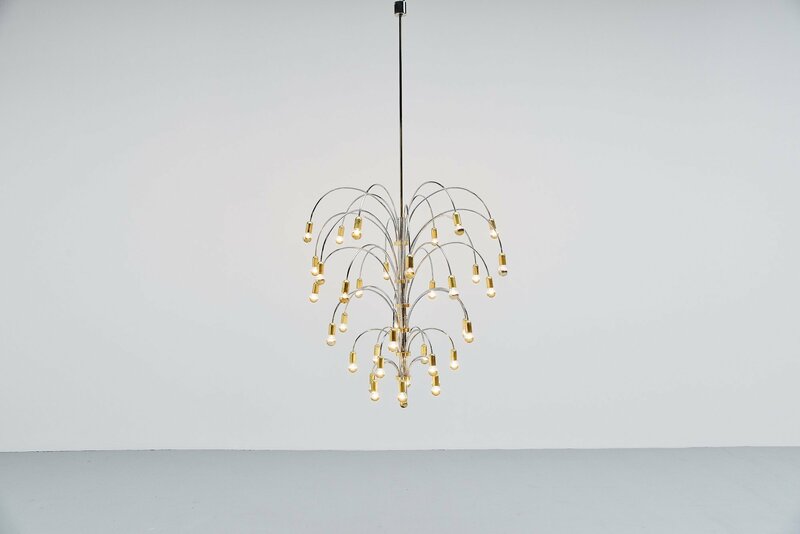 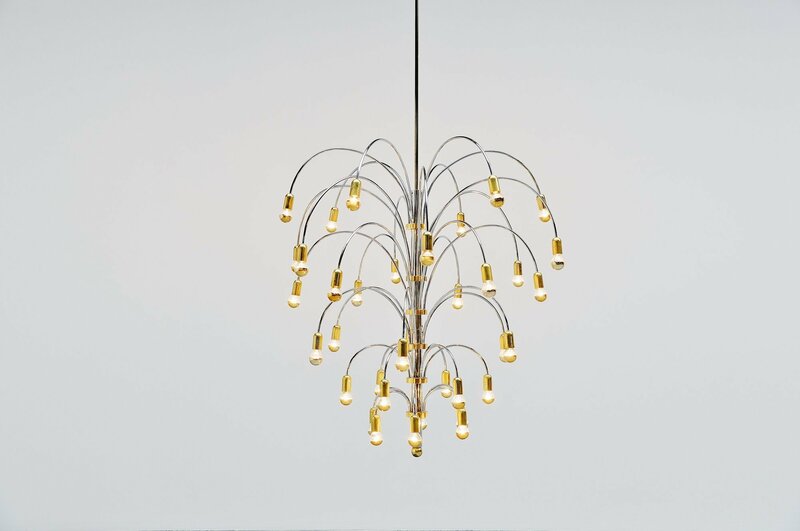 This huge chandelier looks like a large fountain and gives very nice warm light when lit. 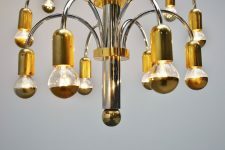 It is complete with 36 half mirrored golden bulbs. 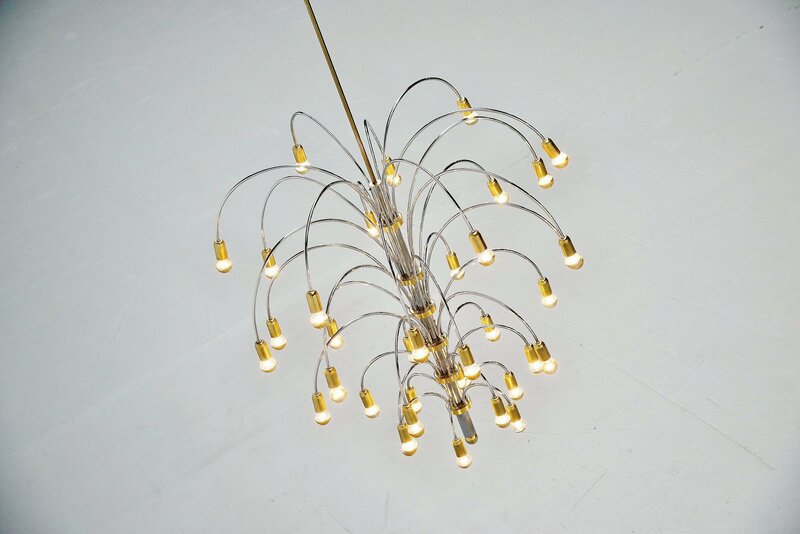 The total length of the lamp is 200 cm, can be shortened of wanted. 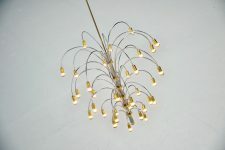 Lamp is in very good condition, brass has minor wear due to age and usage.